What is a stay interview and why do employers conduct them? Think of a stay interview as being the opposite of an exit interview. While an exit interview takes place when an employee leaves a job, a stay interview is with current employees, with the goal of identifying the reasons they work for the organization as well as any frustrations. Exit interviews are used as a tool to understand work-related problems or changes that could be made to better the employee experience and the company as a whole. However, because these interviews are with departing employees, it's too late for the company to make changes and retain them. That's where stay interviews can be beneficial. Using the responses from a stay interview, employers can proactively make changes to improve the work environment. Stay interviews are a powerful employee retention tool for companies. Is your company conducting stay interviews with all employees? Discover what to expect, including typical questions that are asked during these interviews and a guide to crafting your responses. A stay interview is designed to discover why current employees continue to work for the company, what motivates and engages them, and why they opt to stay with the organization rather than searching for a new position. They help companies understand what they're doing right. Plus, employees tend to appreciate these “check in” interviews and a sense of trust is built between a worker and his or her supervisor. The information obtained during stay interviews is used to increase employee engagement and retention and to reduce turnover both on an individual employee level and on a broader company-wide level. By having a stay interview process, companies can increase employee satisfaction and handle any issues that may be discovered during the interview prior to those issues becoming serious. For employees, this is an opportunity to share their concerns, their goals, and what they like - and don't like - about their current role with the company. Unlike employee satisfaction surveys, stay interviews open the floor to a conversation with questions, comments, and ideas for improvement. Issues are resolved immediately, not after an employee has moved on to a new opportunity. In addition to bettering the company, stay interviews give the employer a chance to understand the goals and career interests of the employee. Similar to a performance review, these meetings and interviews can lead to incentives like promotions, which keeps employees happy and willing to continue employment within the organization. 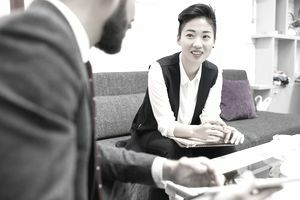 While many companies make changes to their internal structure to ensure best practice, stay interviews can make employees feel that their opinions were heard and valued, and spark positive changes within the company. Stay interviews are typically organized by a supervisor, manager, or Human Resources staff. A supervisor or manager usually has more pull and direct impact on the employee directly, but Human Resources should always be available to discuss more complex situations. On a scale of 1-10, how happy are you working here? Compared to other employers, how does our company stack up? Have you ever considered leaving the company for another opportunity? Why did you decide to stay? Do you believe that your work here has meaning? Do you feel that our office provides opportunities for growth and personal development? Do you feel comfortable reaching out to more senior employees? Do you think your salary and benefit package is competitive? What changes would you make to improve our office environment? Do you have any suggestions as to how we can continue to improve? Do you think the feedback you are receiving is helpful? What other opportunities are you looking for? What other benefits can we offer to help keep your work/life balance in check? Do you think that any of your skills are being underutilized? What skills might you want to improve? If you could change on thing about our company’s structure, what would it be? Do you miss anything about your previous employment? What do you think about during your morning commute? Know your message. Think through what you want to communicate. It could be as easy as wanting to share that you love the job, or as complex as discussing how your salary seems below-market. Knowing what message you want to convey in advance will help guarantee that you get it across during the interview. Nervous? Consider rehearsing. As with any interview, practice can help you hone your message. Ask a trusted co-worker, a friend, or significant other to play the role of interviewer. Or, just practice in front of the mirror!